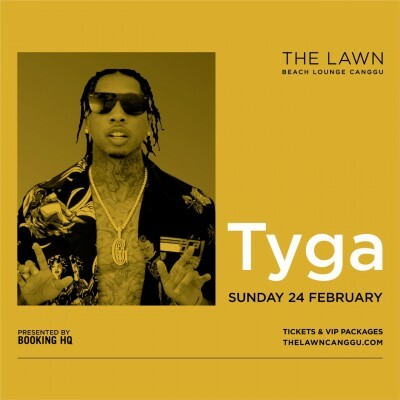 Due to the unforeseeable circumstances, we are devastated to announce that Tyga has cancelled his entire Asia tour, including the event here in Bali, Sunday 24 February. Due to the cancellation of this event we therefore will be issuing all ticket holders a full refund. We apologise and are saddened that we are unable to deliver this event. We appreciate everyone’s understanding and look forward to seeing you at our next event at The Lawn Changgu. All ticket holders will be refunded in full automatically, and we will contact you if any further details are required.